Let’s get drunk on salad, shall we? 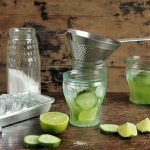 Gin and Tonic with pureed cucumber for a refreshing, fresh taste! 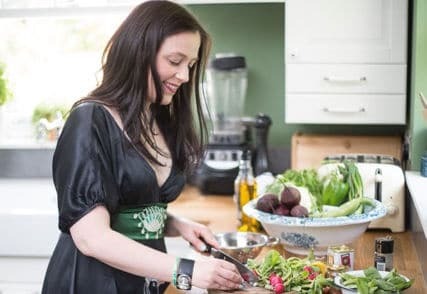 My sister has been visiting from Canada, so we’ve been eating epic feasts of vegetable goodness, hiking in the woods with the kids, sightseeing and enjoying time together. 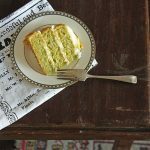 We’ve been balancing the sinful (her birthday Kale and Apple Cake) with the virtuous (long walks and lots of vegetables). But what if we could make our cocktails a little healthier? Let’s put a few extra nutrients into them. Let’s fill them with fresh veggies! 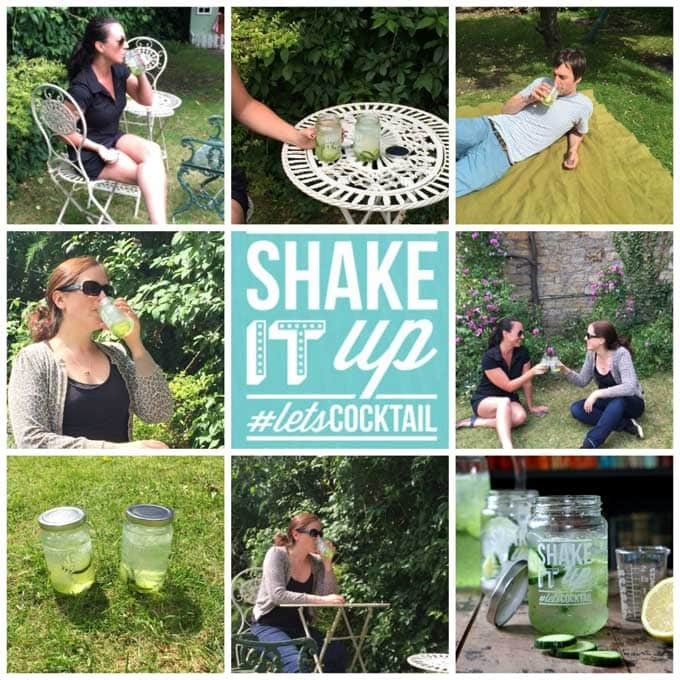 We spent a lovely afternoon in the garden supping on Cucumber Gin and Tonics – your standard G&T with added cucumber puree! I was sent these snazzy jam jars and some gin, so we were ready to get our cocktail on! I was inspired by this recipe for Gordon’s Crisp Cucumber and Tonic, but since I only had standard gin and not their recommended cucumber-flavoured gin, I had to improvise. I pulled out my trusty hand-held stick blender and whizzed up a few inches of cucumber (skin on!). I added the puree to a jug of ice, added the tonic and a few slices of lemon and cucumber and voila – an impressive cocktail in minutes. We have Pimm’s rather often in the summer, but I can be quite lazy about sticking to wine, prosecco or cider; cocktails often seem like a bit of a palaver. But they aren’t really. This was so fast to make and everyone was thrilled with them. Gordon’s gin has lovely notes of juniper berries that goes so well with the fresh cucumber. It was so good and refreshing that when more people came over that evening we made another batch. 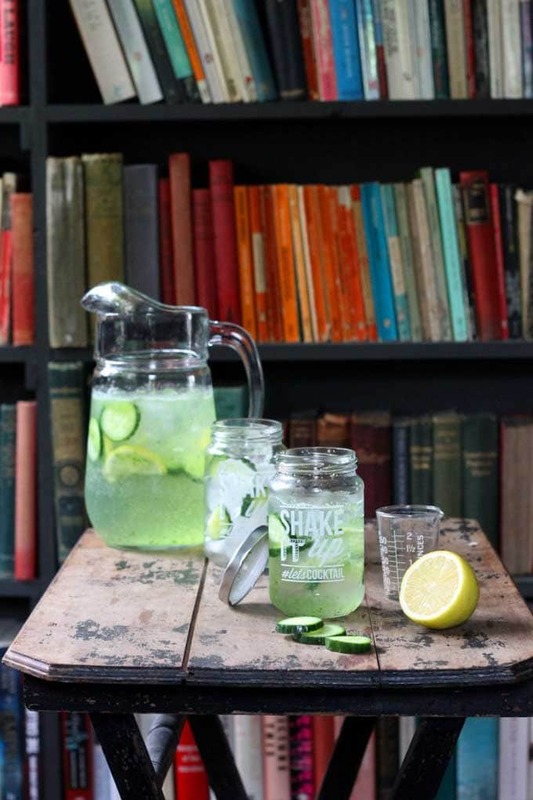 In no time at all we were back out in the garden enjoying the summer sunshine with jars of fresh cucumber G&T. Inspired from a Gordon's Cucumber and Tonic recipe at thebar.com Remember to drink responsibly. 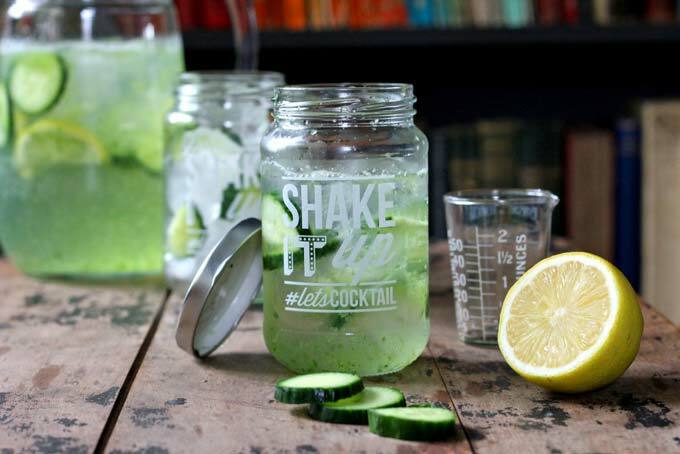 Fill a large jug with ice, add the cucumber puree, gin and tonic. Stir to mix and add garnish to jug or glasses. Serve immediately and stir if the cucumber puree settles. Disclosure: This post was sponsored by thebar.com. I received payment and products but all opinions are my own. Oh I do love a good cocktail, i always have batch of sugar syrup in the fridge ready for cocktail making as it lasts forever! This looks deliciously refreshing. 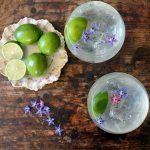 Never thought about a cucumber and gin tonic but I can definitely say I’ll give this a go at the weekend! Sun, cocktails, what more can you ask for! I have 6 friends over today and quite fancy making this cocktail as I do have a lonesome cucumber in the fridge. 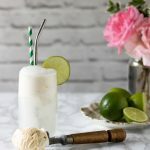 Love making homemade cocktails – especially in summer! I love the presentation! I can’t make my mind up about cucumber in drinks – although I’ve seen it a lot recently. Beautiful! I love the idea of serving them in mason jars!